Lynne Asbeck, of Clovis, was reappointed to the Partnership Board in July 2017. 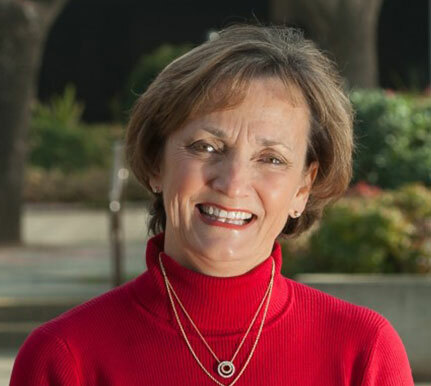 Ashbeck has been senior vice president of community engagement and population wellness at Valley Children’s Healthcare since 2017 and has served in several positions at the Clovis City Council since 2001, including as mayor. She was vice president of population health at Community Medical Centers from 2015 to 2017, regional vice president at the Hospital Council of Northern and Central California from 2006 to 2015 and public policy facilitator and mediator at California State University, Sacramento Center for Collaborative Policy from 2003 to 2006. Ashbeck served as director of extension programs at California State University, Fresno from 2003 to 2006 and director of education at Valley Children’s Hospital from 1997 to 2003. She is a member of the California Mental Health Services Oversight and Accountability Commission, Maddy Institute Board of Directors, Valley Public Radio Community Advisory Council, co-founder and chair of the Fresno Community Health Improvement Partnership and co-founder of the United Way of Fresno County Women’s Initiative. Ashbeck earned a Master of Arts in peacemaking and conflict resolution from Fresno Pacific University and a Master of Science degree in nutrition from Fresno State.